The American Outlaws, as a national organization, continue to break new ground. Launching our 501c3, AO Impact is a natural progression and the most logical step to see a stronger commitment to not only the soccer community, but also to leaving a positive impact in communities across the United States of America. AO Impact is a strategic partnership between all the American Outlaw chapters, and its number one objective is to serve in the communities across the USA where we live, work, and play. 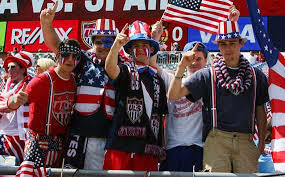 The American Outlaws is the largest supporters group for the U.S. Men’s and Women’s National Teams. We are passionate soccer fans and we want to change the communities around us. Each American Outlaws Chapter varies in size and shape, and of course all have their own uniqueness to them…especially when it comes to their members. These chapters are the pioneers in how The American Outlaws will give back to their communities across the United States and beyond. Click on each of the logos to find out more about the chapter, and get in touch to find out what events they have lined up and the community projects they are partnering with. While our AO chapters serve in the cities they live and work, we will also look to serve on national projects across the United States and beyond. We want to serve the communities in the countries where we visit to support the national teams. Whether the team plays in Mexico, Panama or Jamaica for important World Cup qualifiers, we aim to create long-standing partnerships with local charities and give back to communities across the world during as many #AOAway trips as we can. Every AO Chapter serves their community in their own way. They are unique in how they operate as an American Outlaw chapter, and unique in how they connect with their own community and people. The American Outlaws decided to create a list of ways the AO Chapters could serve their community. Each AO Chapter is on its own path, therefore some of them have been giving back to their community for years, whereas others are completely new to this but very willing and passionate! Every AO Chapter is expected to partner with a local soccer charity in their community. This enables them to directly support local grassroots soccer in their city. A great example of this is how AO Boston have been supporting the work of America Scores Boston. The annual gala fundraiser AO Boston hosts for America Scores Boston is now in its ninth year! If you're not going to the game, then the game is definitely going to be shown at your local AO bar. AO Chapters are always looking for ways to connect with the local community and find that watch parties are one of the best ways to do that. Regularly using the opportunity to raise money through auctions, raffles and giveaways, everyone can get involved and watch the game at the same time. Many AO Chapters have decided to turn their love of soccer into something more tangible and invest in the next generation of soccer players. Many are following AO Modesto's lead by sponsoring and supporting a local youth team. The local AO Chapter not only fundraises for the team, but also turns out on match days and supports the young players while they play their games. Whilst we encourage every AO Chapter involved in AO Impact to do the three things above, it is of course not compulsory. Some of our chapters use more creative ways to give back, like paint a whole school, run EA SPORTS FIFA tournaments, do a community cleanup, run a sponsored bar crawl, host a BBQ for dogs (don't ask! )...the list goes on! Help support us in our effort to donate as many soccer balls to deserving youth organizations around the world and U.S.
- Fire victims in Bastrop. - Underfunded clubs around the world and around the U.S.
- SESSI, Colorado Springs Crime prevention. - Camp Independence in St Louis. Senda makes top quality soccer balls in a socially responsible way. All of their balls are Fair Trade certified, which means better livelihoods, no child labor, and improved working conditions for ball makers. The American Outlaws have partnered with Senda to create a limited-edition AO ball, and for every ball sold one is donated to underprivileged kids in need. IN APRIL, 2018, The American Outlaws will be active in communities across america for a whole week...AS many AO Chapters as possible will go out as an army of soccer fans passionate about social change and give back to those in need. NEW YORK (June 29, 2018) - The winning United 2026 World Cup bid has not only energized North American soccer fans with the promise of elite matches played in home stadiums. It has sparked a multinational community investment effort that will develop local soccer fields and support youth programs in host cities. Known as 26x26—reflecting the 26 new and renovated fields that will be opened by the 2026 kickoff—the project is designed to transform play “deserts” and underutilized spaces into safe and accessible soccer pitches that create hubs for healthy activity and a community asset. It will expand youth outreach in underserved communities across the United States, Canada and Mexico and engage fans as volunteers to help advance local goals. The $30 million effort is driven by an unprecedented partnership that includes one of the largest U.S. community development organizations (LISC), a prominent British soccer philanthropy (Lionsraw), the largest soccer fan group in U.S. (American Outlaws) and a global powerhouse in children’s health (UNICEF). It has already attracted world-class ambassadors in American soccer stars Landon Donovan & Kyle Martino, and soccer broadcaster Rob Stone. 26x26 is expected to reach one million kids, ages 4-18, over ten years and make significant contributions to local economic development efforts, focusing particularly on communities that are often overlooked for investment. Locations for full-sized fields have yet to be finalized, though there are likely to be 20 in the U.S. and three each in Canada and Mexico. “Major sporting events like the World Cup can be a powerful catalyst for community gains that range from better health and safety to advances in education, jobs and local income,” notes Maurice A. Jones, president and CEO of LISC, which has invested more than $18 billion to revitalize U.S. communities over the last four decades. “We’ve seen this in our efforts all across the country: investments in sports and recreation can help improve a community’s quality of life.” Each of the partners will contribute their particular expertise and experience to 26x26, which will be jointly managed by LISC and Lionsraw. LISC will work with Lionsraw to raise corporate sponsorship and investment capital to fund, contributing its financial apparatus, community transformation expertise, and 40 years of ground-level work to fund new and renovated fields and facilities. This is the latest of LISC’s sports-related partnerships; the national nonprofit has impacted more than 600,000 youth through ongoing collaborations with the NFL Foundation, a $53 million partnership creating 350 quality playing fields in hundreds of communities over 20 years, and with ESPN to create recreation spaces and basketball courts. As part of its roll-out this fall, 26x26 will incorporate World Cup-related events in host cities, including youth leadership and soccer training, Kid Power, and live game-viewing parties. LISC and Lionsaw are inviting corporations, foundations and organizations to be part of the growing 26x26 project. For more information, contact 26x26 Director of Corporate Partnerships, Deborah Morant, dmorant@lisc.org; Project Director, Ben Astin, ben.astin@lionsraw.org; or Program Director, Bev Smith, bsmith@lisc.org. Whether you are an Outlaws member or not, please fill out the information below and we will get in touch with you by email or phone as soon as possible. In the meantime, you can also go to the the American Outlaws website and search for your local chapter. AO Chapter You Are Involved With? 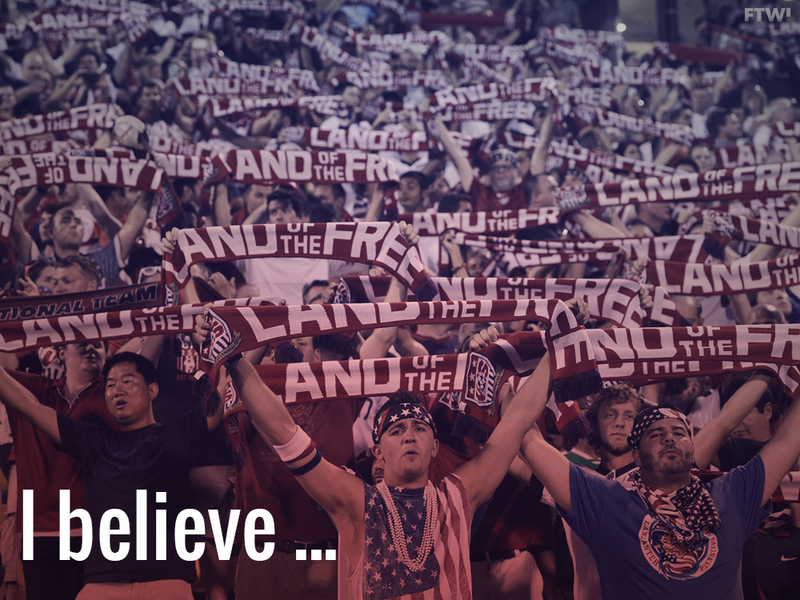 If you answered Yes to the last question, please tell us the American Outlaws Chapter you are involved with.